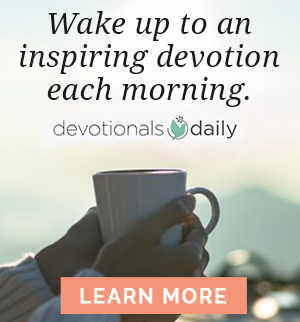 This week on Devotionals Daily we’re offering our readers devotions from Sarah Young’s many books: Jesus Calling, Jesus Today, Jesus Lives, Dear Jesus, and the Jesus Calling editions for teens and kids. 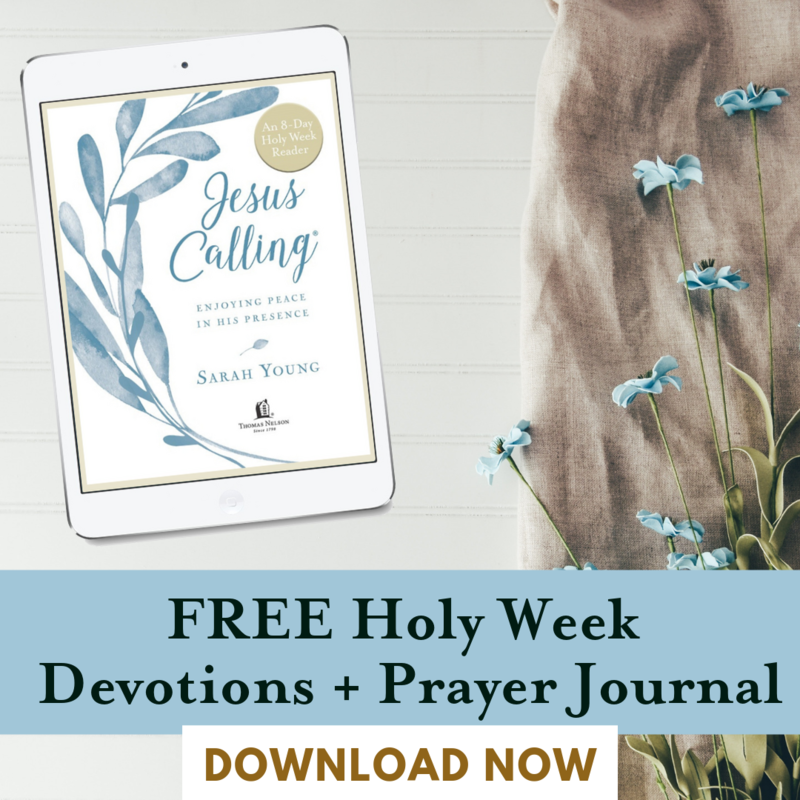 After many years of writing in her prayer journal, missionary Sarah Young decided to listen to God with pen in hand, writing down whatever she believed He was saying to her. 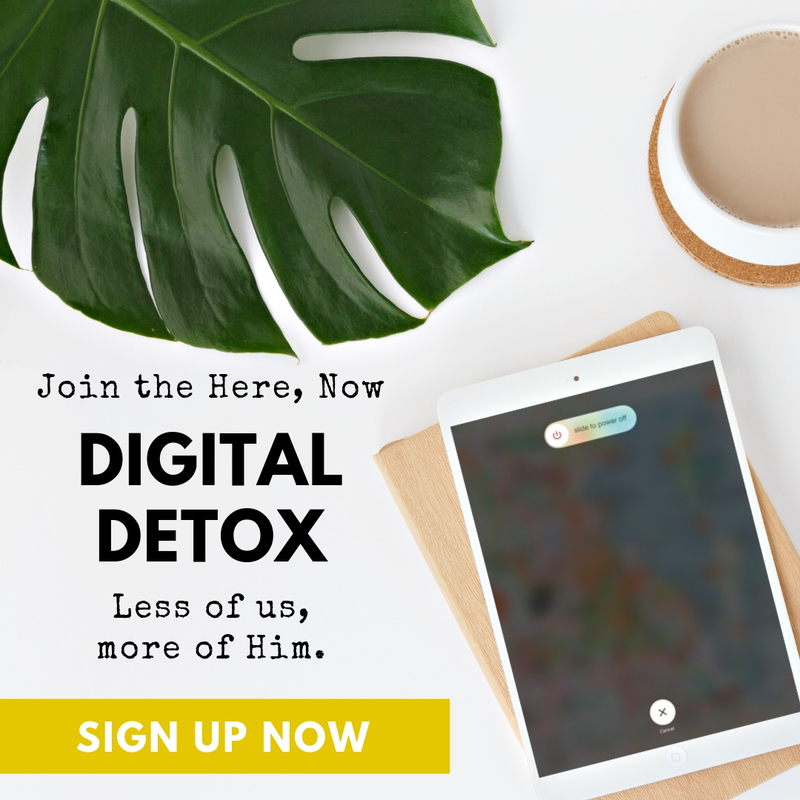 She knew her writings were not inspired as Scripture is, but journaling helped her grow closer to God. 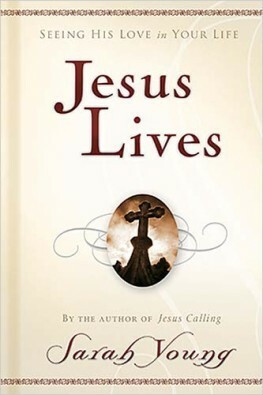 They are written from Jesus’ point of view, and it is Sarah’s fervent prayer that our Savior may bless readers with His presence and His peace in ever deeper measure. With Me all things are possible. When you bump into massive difficulties on your life-path, I want you to consider it pure Joy. As you bounce off these “impossibilities,” My everlasting arms are wide open—ready to catch you, calm you, and help you do what does not seem possible. You can be joyful in the midst of perplexing problems because I am God your Savior. I have already accomplished the greatest miracle—saving you from your sins. If you keep looking to Me, your resurrected Lord and King, your pessimism will eventually yield to courage. 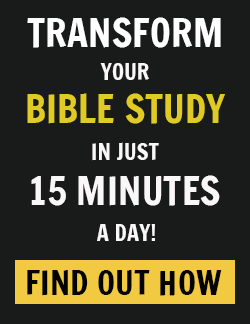 Though you are an earthbound creature in many ways, your soul shares in My eternal victory. Since I am infinite, “impossibilities” are My specialty. 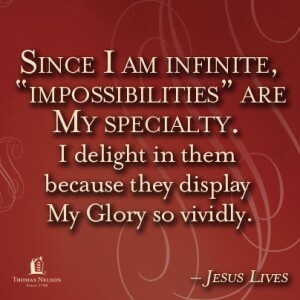 I delight in them because they display My Glory so vividly. They also help you live the way I intended: in joyful, trusting dependence on Me. The next time you face an “impossible” situation, turn to Me immediately with a hopeful heart. Acknowledge your total inadequacy, and cling to Me—relying on My infinite sufficiency. All things are possible with Me!